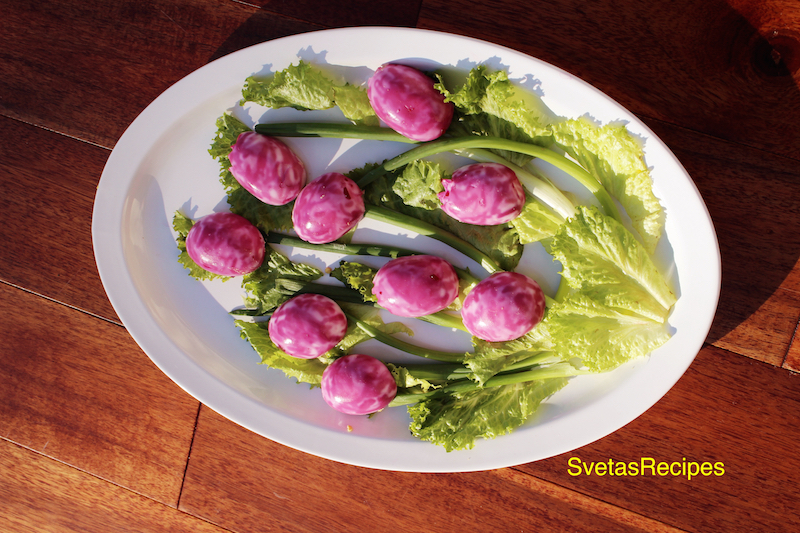 A great appetizer for a little party that your hosting, it includes creamy eggs the are painted by beats. It taste even better than it looks, and is one of the easiest recipes on my blog. 1.) 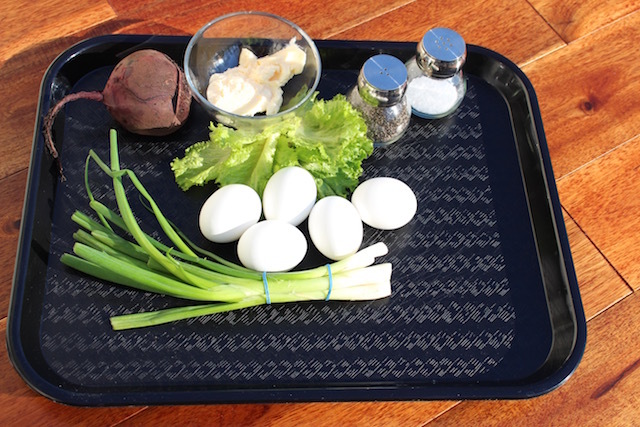 Wash and dry all vegetables, Cook eggs and beats in separate pots. 2.) Cut each egg in half vertically. 3.) Remove the yolk out of each egg so the inside is clean. 4.) In a small bowl, put yolk pieces into the mayonnaise. 5.) 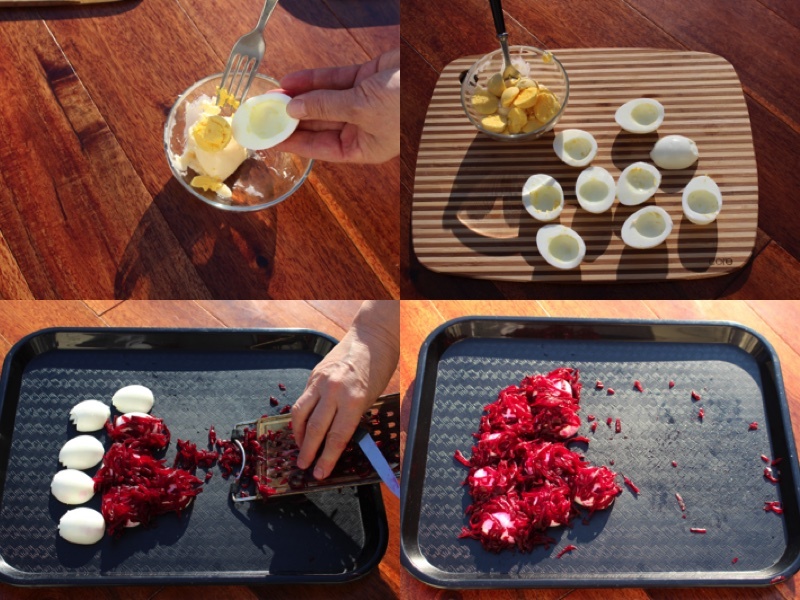 Shred the beat onto the eggs, make sure its covering the eggs. 7.) Let it sit for 7 min so it gets the right color. 8.) Add pepper to the yolk mixture and mix it well. 9.) 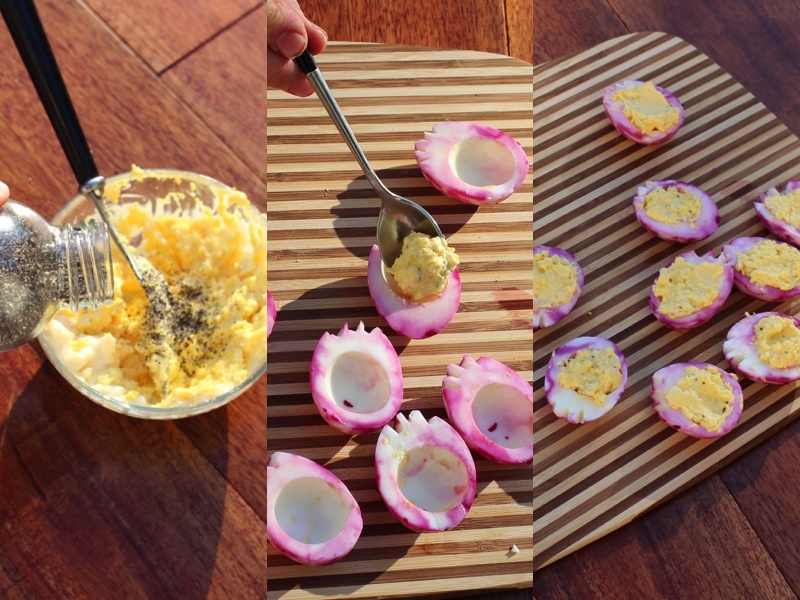 With a tea spoon take small bits of the mixture and place it inside the eggs, make sure it’s level with the top. 10.) 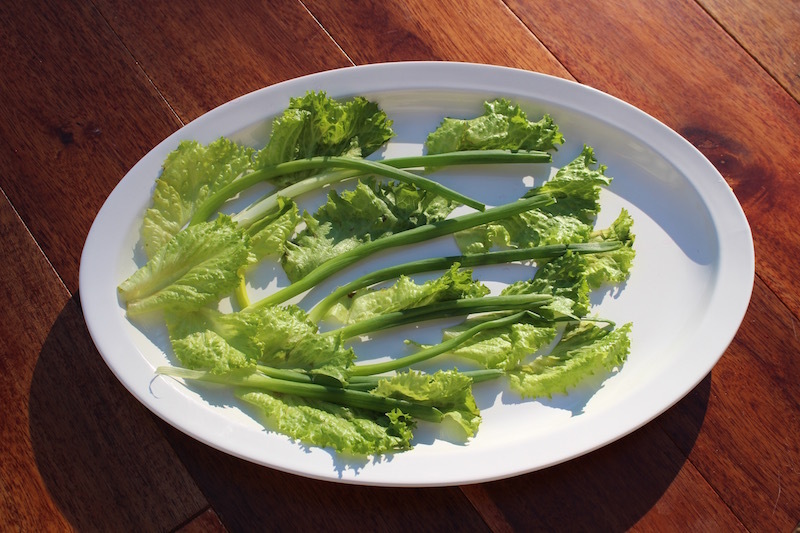 Put the green leaves and scallions on the serving plate. 11.) Finally place the eggs in different spots of the serving dish.